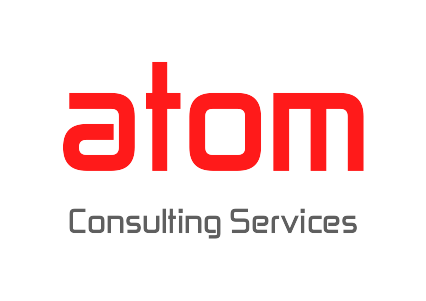 Atom Consultancy Services is a specialist in digital transformation, Consultancy and business re-engineering solutions. Our innovative platforms and reusable assets connect across a number of technologies to deliver tangible business value to all our stakeholders. In an eventful journey spanning over two decades, Atom’s has transformed from being a ‘Telecom-focused’ to a ‘business-centric’ IT powerhouse. Today, we are ranked among the Top 5 IT service providers in India and partner with several Fortune 100 companies to deliver outstanding solutions across industry verticals. The company offers a range of services across Telecom, Consultancy, Application Outsourcing, Infrastructure Outsourcing, Engineering Services, BPO, Platform Solutions and Mobile Value Added Services. With an impeccable track record in delivery and strong alliances with leading technology and product vendors, we serve over 670 global customers, including several Fortune 500 companies. Atom’s operates in the key industries that drive economic growth, enjoying a leadership position in tractors, utility vehicles, information technology, financial services and vacation ownership. In order to build and shape a career, one needs to ‘Rise’ by driving a positive change. At Atom’s we believe in driving this change for you. We firmly believe in addressing the career aspirations of our Associates and have aligned various HR processes to facilitate optimum career progression. Atpm’s follows a robust ‘Job Family Framework’ that comprises jobs from various business verticals, defining ideal career paths for each job family across levels; providing an Associate ample opportunities to move across job families based on his/her capability and organizational requirements. The organization also encourages career development by investing in higher education programs, leadership development programs, etc. Atom’s is an Equal Employment Opportunity employer. We promote and support a diverse workforce at all levels. All qualified applicants will receive consideration for employment without regard to race, religion, colour, gender, age, national origin or disability. All applicants will be evaluated solely on the basis of their ability, competence, and performance of the essential functions of their positions. As an organization we strongly believe that when we recognize our people, we reinforce their actions and behaviours. Rewards & Recognitions at Atom’s have always been key engagements factors with a gigantic reach. We have both Individual as well as team based recognition programmes. We also have peer recognition, which further aligns into the organization’s DNA. Additionally, our R&R programme is hosted on a customized social intranet portal, that helps Associates connect and collaborate for performance excellence and delivers recognition to every Associate’s desk.